When you’re popping the question, you want her to say “yes.” Actually, you want her to squeal with glee, throw her arms around you, and then say “yes.” Even though she may say “yes” no matter what ring you present her, how do you make sure her engagement ring is the one that will resonate best with her? Choosing the right diamond is important, of course, but just as important can be the metal used to manufacture the engagement ring. The right type of metal can add subtle effects to an engagement ring’s center diamond and its appearance, and finding the right effect for your special someone can make all the difference. In addition, each metal will have its advantages and disadvantages in the long run. One of the rarest precious metals on earth, platinum has continued to grow in popularity since the turn of the century for use in jewelry, including engagement rings. Its naturally white color means it has no need for plating like white gold, and its high density makes it more secure for setting gems, not to mention more wear resistant. In addition, it won’t fade or tarnish, and it is naturally hypo-allergenic, which is good news for those with allergies to certain metals like nickel. 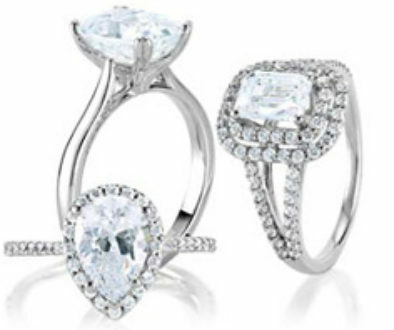 Platinum is a very attractive choice for engagement ring bands since its white color goes well with diamond stones, and it will last for a long, long time. However, being one of the world’s rarest precious metals, it can be quite expensive. 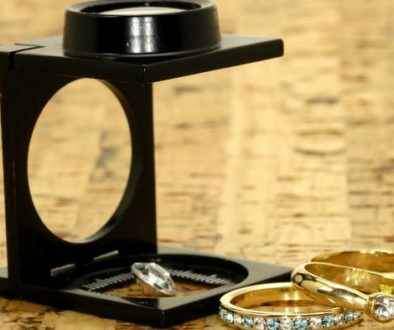 Its high melting point can also make resizes and repairs more difficult, meaning that you will want an accurate ring size measurement when you make the purchase. 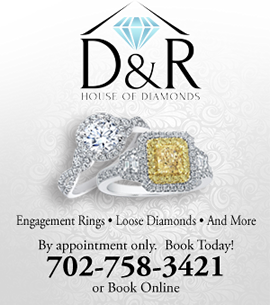 Always seek out a professional bench jeweler skilled in working with platinum. The investment of time and effort can be worth it, though, given platinum’s many advantages in aesthetics, durability, and prestige. Platinum is considered a generational metal due to its ability to wear so effectively over time. Your daughters, daughters, daughter will be able to wear this ring and enjoy its beauty as if it was purchased new yesterday. When you think of Platinum, think Pure, Rare and Eternal. Classic gold has been used for jewelry for thousands of years, and for good reason. It is extremely malleable, giving it extraordinary versatility for ring and jewelry designs. 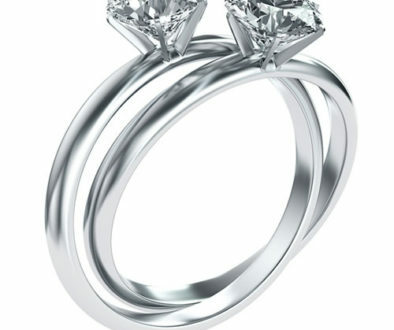 It does not tarnish, and its timelessness makes it ideal for an engagement ring. It is also strong and long-lasting when combined with other metal alloys. In an engagement ring, these metal alloys are often used to change its color in addition to giving it strength. This increases gold’s versatility and gives you more options for finding just the right ring for that special someone. Yellow gold, which includes copper and silver, compliments skin tones wonderfully and can make yellow diamonds look clearer. The copper in rose gold gives it a pinkish hue, adding warmth and vigor to the ring’s overall visual effect. And white gold, which is plated with rhodium, has a silvery white luster that complements the pure color of white diamonds. On the downside, some of the alloys present in gold rings can cause allergy problems for some, and the rhodium finish on a white gold ring will wear away over time, causing the ring to turn more yellow (your ring can be re-plated at a minimal charge). In addition, such a valuable metal tends to run at higher prices, but less than platinum. This timeless metal requires a bit of an investment, but that investment can be well worth a ring that matches your sweetheart’s personality. Just as white, and less expensive, palladium is also tarnish resistant and naturally hypo-allergenic. It is also much lighter than platinum, which can be nice for those who do not tend to wear jewelry often and who would find a dense ring uncomfortable. For others, however, the light weight can feel unnatural, and they would prefer having something with more density, like platinum or white gold. Resizing and repair can also be a tricky process, since palladium is more reactive to heat and chemicals than platinum, and it may tarnish during the process. Nevertheless, its strength and white luster make it a good choice for an elegant engagement ring if you have a tighter budget. Palladium has been traditional thought of as an alloy to harden other precious metals like gold, however due to metal prices, palladium is finding a market as a very inexpensive alternative. Knowing the right metal for your sweetheart’s engagement ring can be a tricky business. 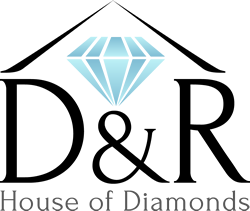 A professional jeweler can help you match the right metal with the right diamond for that someone who is so very right for you.